I'm back! 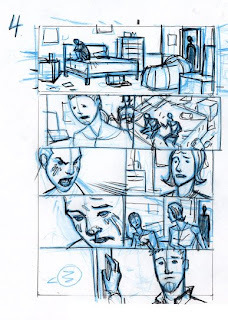 I thought you might like to see some of the rough layouts for issue #6. I know that I do. 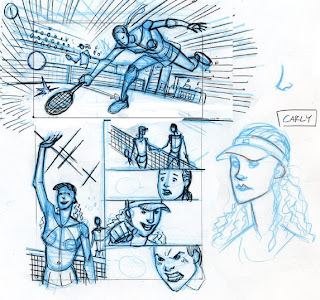 I usually draw the layouts small, about 4 X 6, and then enlarge them and lightbox onto the art board. In the lightboxing step I add all the details and get it as tight as I think it needs to be to ink. Although recently I have been skipping the layouts and penciling right on the board. Sometimes I really like the result, and it seems to be a bit quicker, but for more involved shots I still seem to get better results working small first to figure out the design. Maybe one day I will have it all figured out. 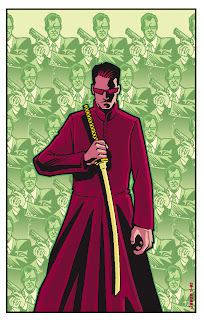 This one was my idea of what I would look like in the Matrix world. And this one was done for no particular reason. Both of these were created in Adobe Illustrator, for those who care about such things. Cool Bananas! I do all my drawing in Illustrator (with my trusty Wacom) but I've yet to colour in it. 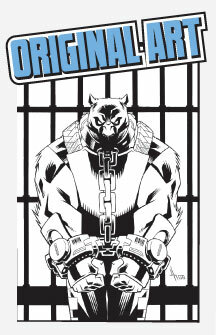 I'd really love to see a whole issue reprinted in your rough layouts!! What's the chance of a thing like that happening? Awesome layouts! I love seeing the process of what goes into creating a page. very cool. 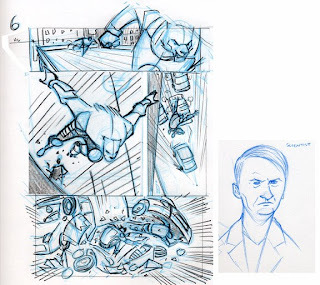 Nice rough layouts of issue 6. 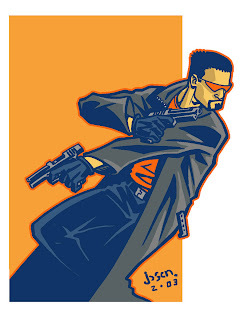 Awesome matrix sytle drawings!! Definitely cool to see the layouts, I'm a sucker for stuff like that. 6 was a great issue. Layouts look very strong. Love the Matrix pics. Nice colors and stylistic approach. Pete- No plans to do that. 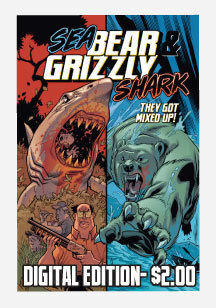 I think it would be cool, I have ideas of drawing a non Wolf-Man story in basically colored layouts style someday. But I got no time for that right now :) Anyway keep your eyes open for the first trade, I bet Robert put some other layouts in there.